Here are a few pics of the projects I’ve been working on this holiday week. I love poppies and this one I shot at Wing Haven. 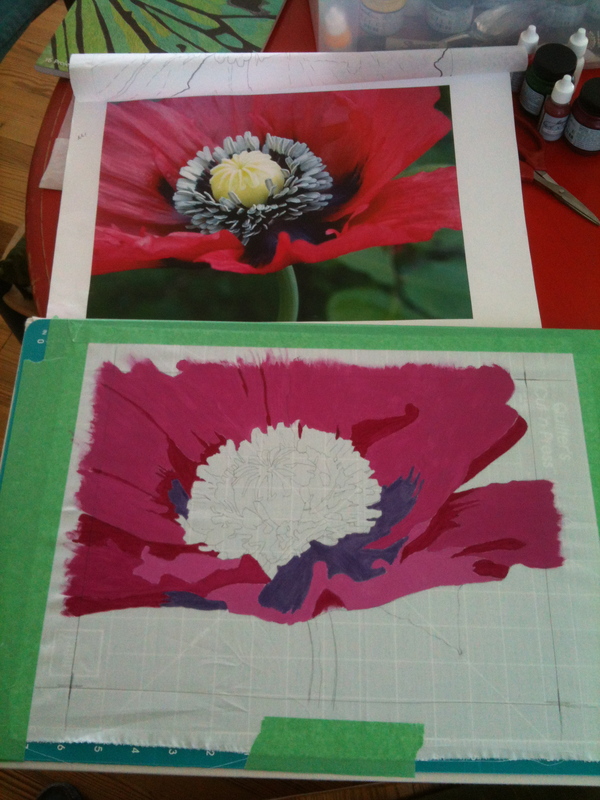 Here’s the poppy in the middle of the painting process. 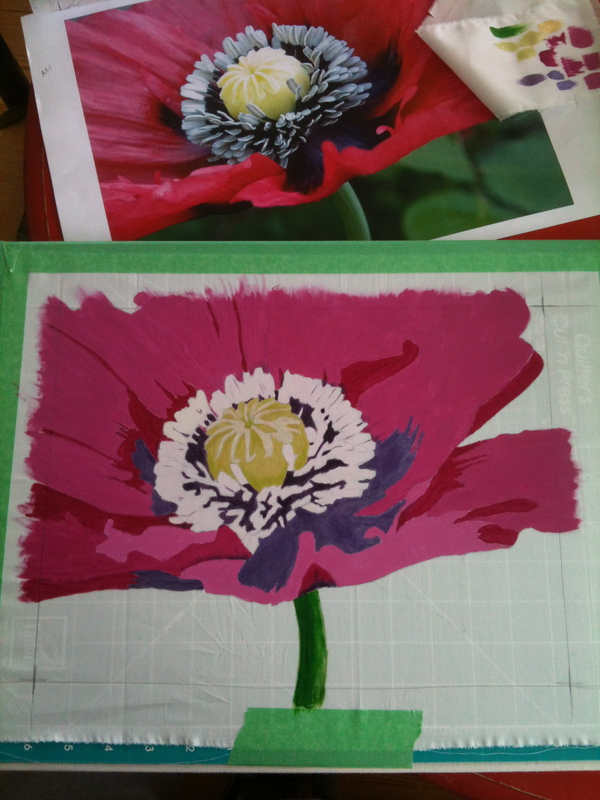 Here is the poppy with the painting completed. Now I have to start the thread sketching. 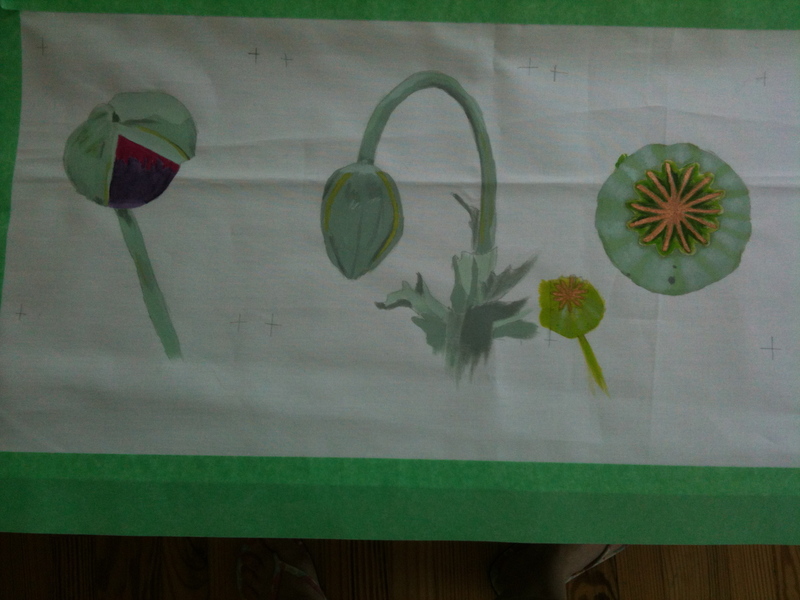 I also wanted to do some detail paintings of the poppy. As a bud, an opening bud and after the bloom. A few months ago a friend and I went to Daniel Stowe Botanical Garden (DSBG) to shoot pics of the orchids. They were amazing. Here is one species that I worked on. 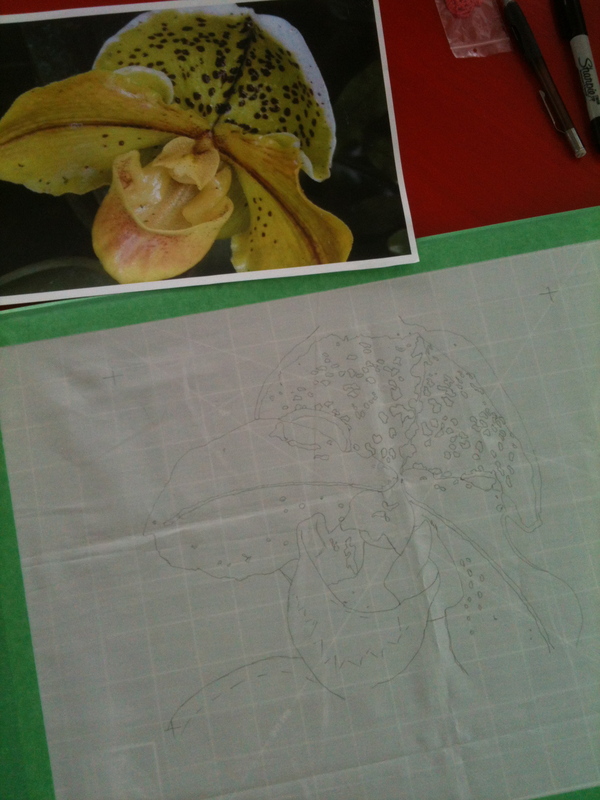 Picture with tracing on fabric. 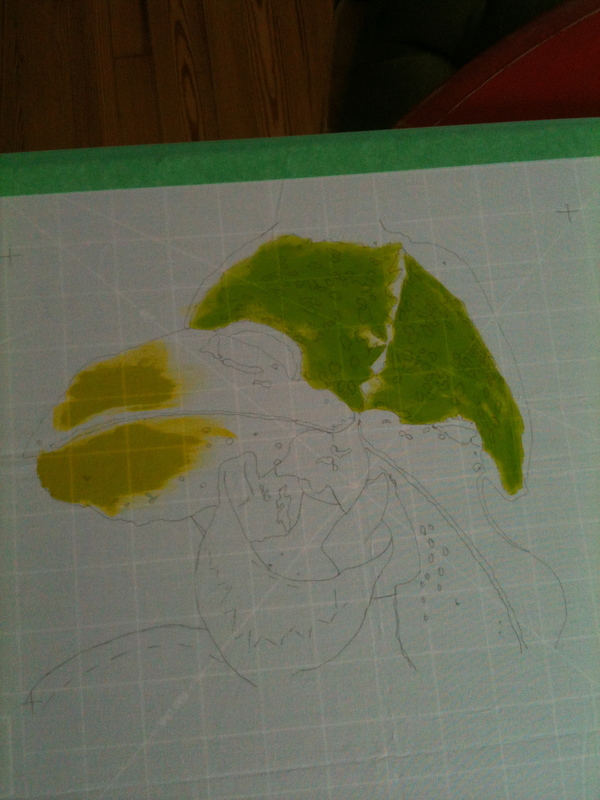 Laying down the first two colors. 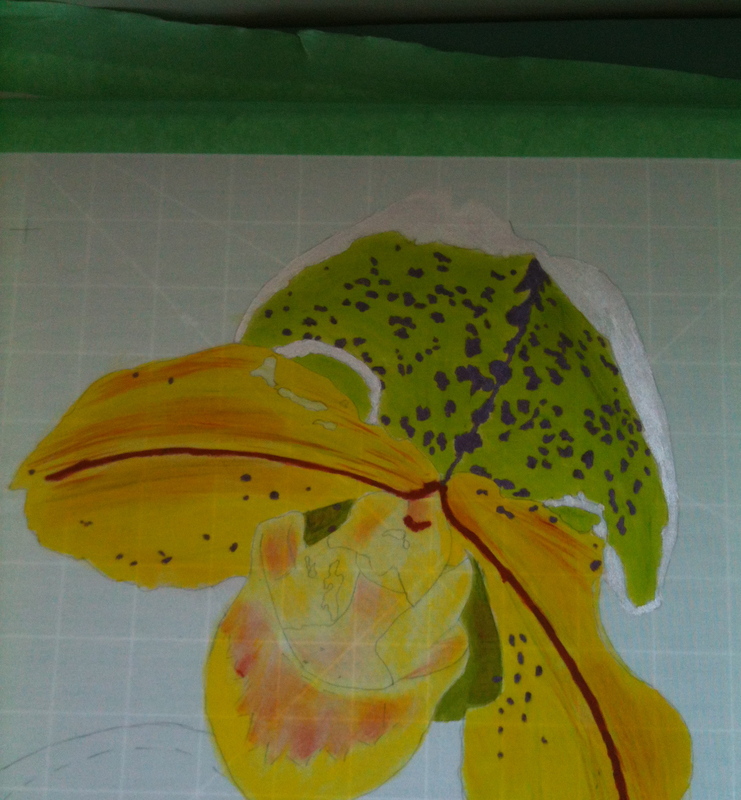 Orchid painting complete. Time for thread sketching.